⇨ Security Fence: Wood fencing is exceptionally sturdy and long-lasting, giving you the peace of mind knowing that your family is safe within your walls. ⇨ Wood Retaining Wall: Does your land tend to shift every time it rains? A wooden retaining wall and gates will protect your landscaping and keep everything exactly where it belongs. Don’t need full protection with your wooden fence? A decorative fence and gates create a boundary or separation on your property without completely blocking the view. Our designers and installation professionals only use the highest quality materials, from the redwood boards to the nails and posts. Our fences are put into place by individuals who are fully qualified and insured, so you can be confident that the installation will last for many years. From colonial fence styles to decorative posts and tops on a privacy fence, you’ll love the designs that our creative team recommends for your space. ⇨ Good Neighbor: This type of wood fence is quite popular because it is has beautiful boards on both sides of the fence so it is equally beautiful for both you and your neighbor. ⇨ Louvered: A louvered fence is a semi-open fence that gives your property protection from the wind, and provides an interesting and unique look for your landscape. ⇨ Shadow Box: This style of fence creates a shadow box effect with alternating boards on either side of the fence. It provides the same security as a solid fence with an interesting, beautiful box appearance. ⇨ Nail On: This type of classic wood fence uses nails to secure boards onto the inside frame rails from the outside posts of the fence. Many feel this type of wood fence creates a more rustic feel. ⇨ Dog Eared: The “dog ear” wooden fence is so named because of the notched look at the top of the fence. 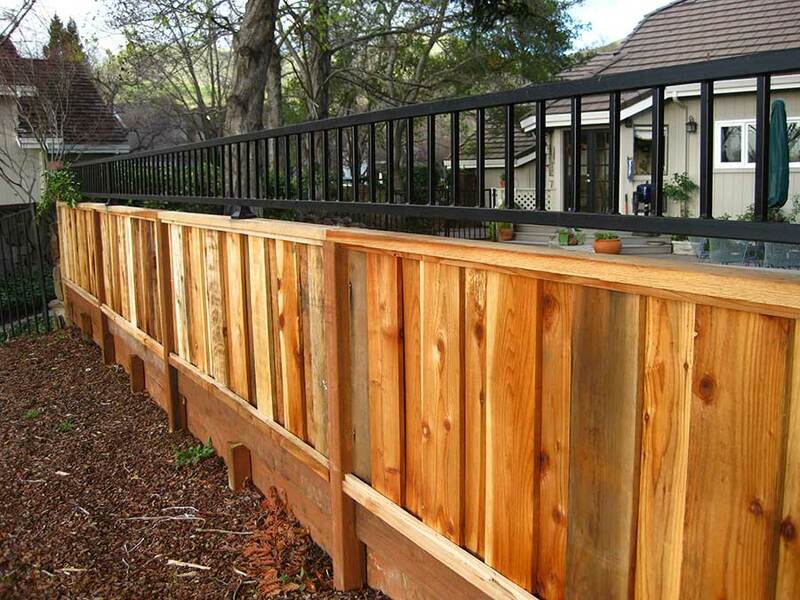 The notched boards give the wood fence a distinctive “finished” appearance that is much prettier than the plain fence. ⇨ Lattice: A lattice wooden fence is perfect for the home or property owner who wants a nicer architectural element to their fence. The lattice fence combines the function of a security fence with the aesthetics of a more open and airy lattice-work look. 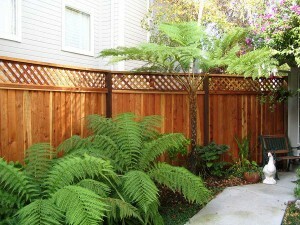 Ready to get started on your new redwood fence project?